Our master craftsmen take woodwork to an art form. They bring over 35 years of experience to every project ensuring a perfect balance of beauty and durability. 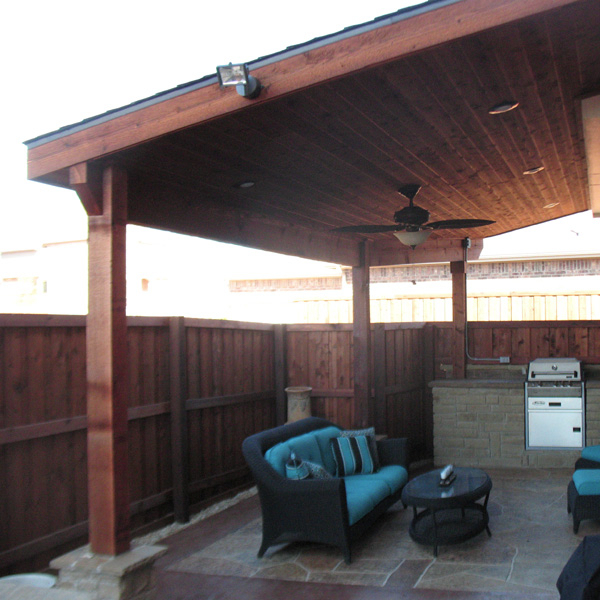 Using only the highest quality wood, stains and sealants, Creative Boundaries is quickly becoming the preferred choice for discriminating homeowners all across the DFW metroplex. Creative Boundaries works closely with the homeowner to determine how the structure will be used, from the type of furniture to the natural surroundings and garden type. From sun and wind, we take all elements into consideration to create a one-of-a-kind work of art.